The SCRA online learning working group is excited to bring you another presentation in the SCRA webinar series, Dr. Edison Trickett! This interactive webinar will provide an ecological perspective on the processes and goals of community intervention and exemplify the fundamental role of culture and context through an example from work conducted with Alaska Native villages around suicide prevention through cultural renewal. An opportunity will be given for webinar participants to offer comments or questions and speak directly with the presenter. 1. Understand components of an ecological framework (not Bronfenbrenner). 2. How an ecological perspective differs from evidence-based practice. 3. Developing community resources as the primary community intervention goal. Edison J. Trickett, Ph.D., is Professor Emeritus at the University of Illinois at Chicago (UIC) and Dean’s Scholar at the University of Miami, School of Education. He received his Ph.D. in Psychology from the Ohio State University, was a post-doctoral fellow at Stanford University, and held faculty positions at Yale University, the University of Maryland, and University of Illinois at Chicago before joining the faculty at the University of Miami. Throughout his career, his research has focused on the development of an ecological perspective within his field of community psychology for conducting community research and intervention. His writings have emphasized the role of culture, social context, and collaboration in conducting respectful community-based research and intervention. He has written extensively about community interventions designed to affect community development. In addition, during the past 20 years he has focused on the role of public schools in the acculturation and adaptation of immigrant and refugee adolescents and families. 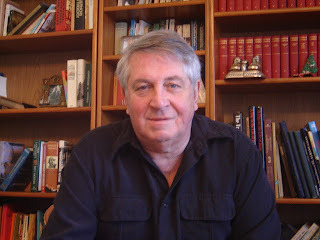 He has published over 150 books, book chapters, and scholarly papers, has served as President of Division 27 of the American Psychological Association, received its award for Distinguished Contribution to Theory and Research in Community Psychology, the Seymour Sarason award, and served as Editor of that field’s primary journal, The American Journal of Community Psychology.